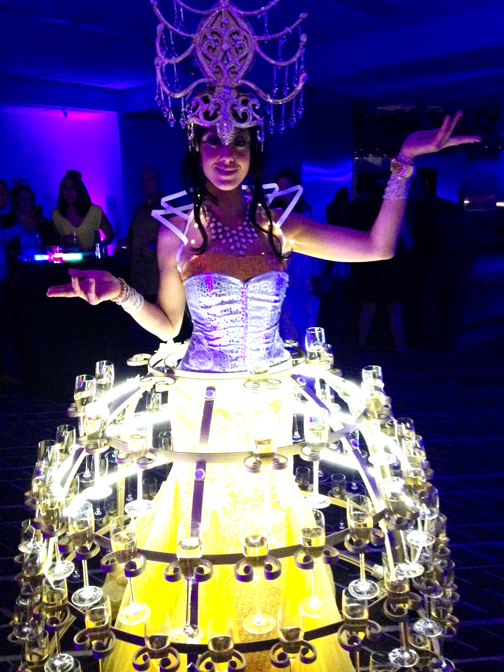 Customized Novelty Entertainment & Interactive Production for Brand Activations, Launch Parties, Event Marketing Campaigns, Music Festivals, Corporate Events, & Parties. 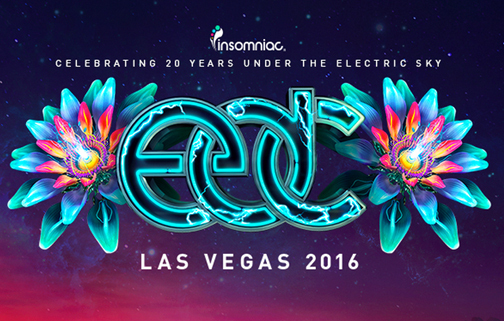 We were brought in by the legendary production company Insomniac to their 20th anniversary Electric Daisy Carnival Vegas in June 2016 to the VIP area at Kinetic Fields. Our team of 6 professional face & body painters & one hair artist provided complimentary sparkly adornments for excited party goers. 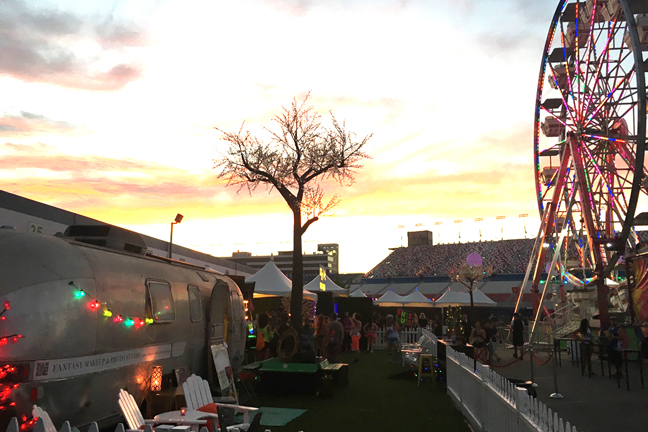 Our one of a kind 25 ft airstream makeup trailer was on site for makeovers as well. For 3 hot Vegas nights we painted hundreds of thrilled guests. 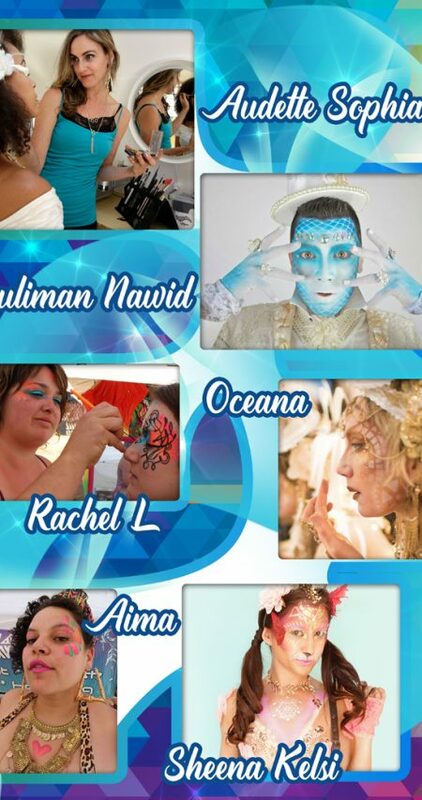 This ARTICLE was posted in the Las Vegas Review Journal about our Face & Body Painting station! 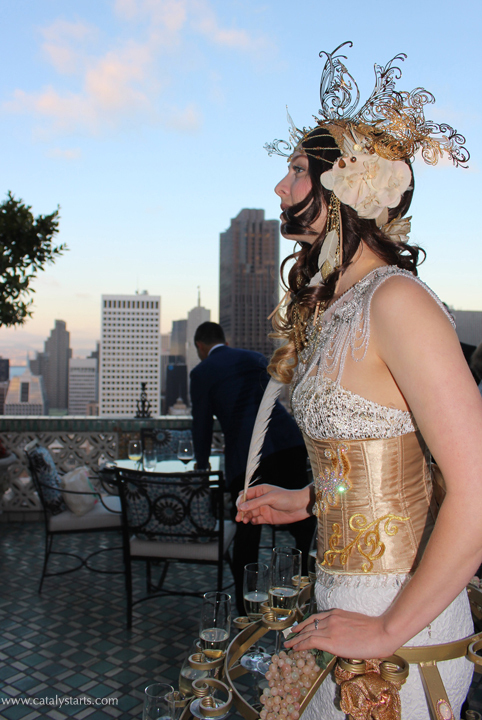 A recent novelty event we did was an exclusive private birthday party in the Penthouse of the Fairmont Hotel. 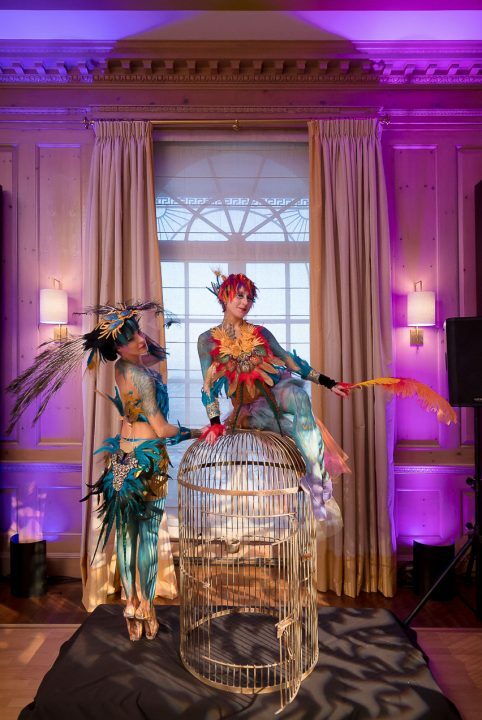 Our entertainers for the evening included a golden champagne skirt hostess on the patio & body painted birds of paradise ballerinas with a giant golden cage. We were hired to provide entertainment for the premier of Luzia in both San Francisco & San Jose. We provided customized interactive characters that helped to animate the vibrant latin aesthetic of the show. We were also able to do 3 other events for them while in town including some animation for their VIP area. Our CHAMPAGNE SKIRTS are also a popular addition to a VIP Area or VIP Reception Experience. Here our Deluxe gold skirt champagne hostess served complimentary champagne to guests in the VIP at SF Nightlife New Years Eve Party at the W Hotel in San Francisco.